If you are looking for tasty fried chicken snacks, it doesn’t get much better than Chicken Poppers. There are a few simple steps you can take to make them extra special for your guests; marinade, crust and sauce. Check out the recipe below for Garlic & Honey flavored Chicken Poppers. 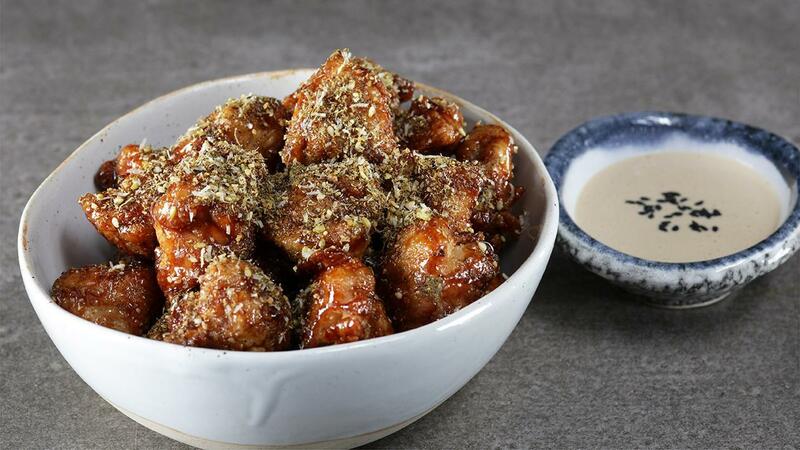 Cut the breasts into bite sized cubes and marinade with 50g Knorr Chicken Stock Powder, garlic andchilli for 4 – 6 hours. Combine the corn flour and 10g Knorr Chicken Stock Powder and coat the chicken in flour. Dust of the excess and fry at 175°C for 4 -5 min till golden brown, remove and drain on paper towel. Heat the Rafhan Corn Oil in a pan and sauté the garlic. Add in the honey, coat well, dust with the dried mint and parmesan and remove from heat. Place the poppers in a serving bowl.